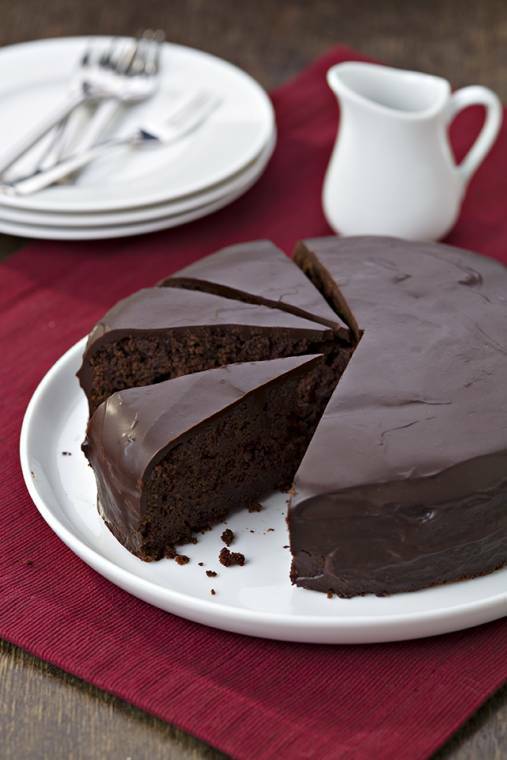 A devilishly dark chocolate cake with a secret ingredient..
Stir the beetroot puree into the beaten egg yolks, before adding the chocolate mixture from step 5 into the bowl. Fold gently, add the yogurt and stir again. Allow to set, leaving overnight for best results. "Macroni Cheese With Crispy Leeks And Bacon…"
Looks so decadent & inviting! YUM!